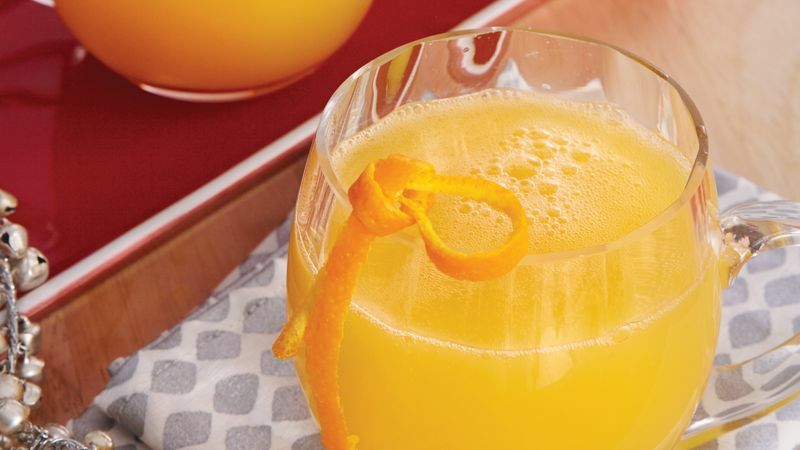 In medium bowl, stir together orange juice, liqueur and rum. Cover; refrigerate 1 hour. Pour mixture into large pitcher or punch bowl; stir in chilled sparkling wine. Garnish individual servings with orange peel twists.